People are always looking at ways to add extra impact and value to their work. On hearing about and seeing this new Decorating Elf from Henry Taylor - designed by William Hudson (USA), known to his friends as the "Turning Elf" - I thought this tool was something that people could have a lot of fun with. 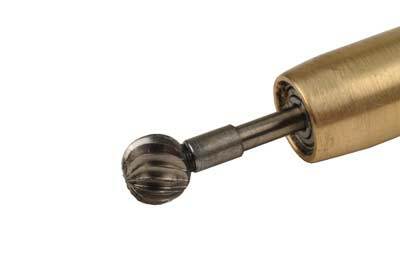 Essentially the tool comprises a handle into which is fitted a brass shaft - this in turn is hollow at one end. Bearings are housed into this part and one of three cutters can then be fitted into this. 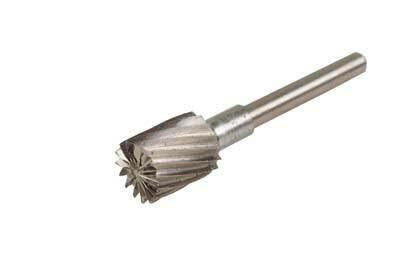 There is a ball-end HSS cutter, which is supplied as standard, and two optional extras: a cylinder and a bud cutter, which is shaped like a flame. Each cutter has a bushing on it to keep the cutting head clear of the bearings. The basic kit contains a hog's hair burnishing brush - used to clean up the cut surface - and a free DVD. Also, there are four YouTube clips showing various techniques which explain how you can get the most from the tools (see sidebar at end of article). 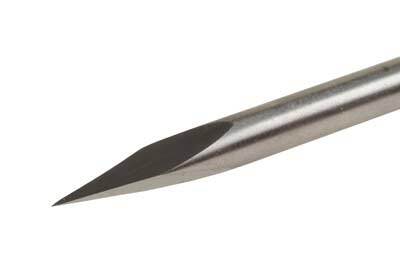 In addition to those mentioned, there are also two optional negative-rake tools: a point tool and cove cutter. The Decorating Elf is well balanced and the cutters are easy to insert and remove - I definitely had fun using them. I tried the various tools on close-grained hardwoods, on both end and side grain. 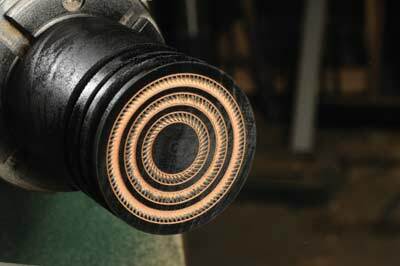 When the cutters are presented to the work the cutter revolves - very smoothly - and depending on the pressure applied, one can create different depths of pattern. It was interesting to note that the cutters cut cleanly; they are not indent tools, but rather precise cutting tools. 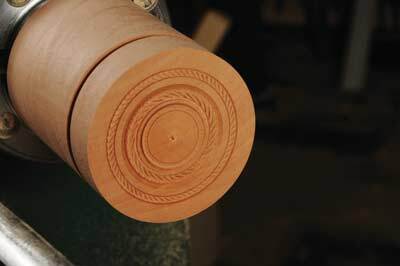 Depending on the cutter used and the angle at which it is presented to the wood, the pattern changes accordingly. I had great fun using them and found the cutters to have a lot more uses than I originally thought. I initially thought about using them on boxes, but they can also be used on pens, bowls, rim details on the necks of hollow forms as a decorative band to disguise joins, and so on. The more you play with them the more you learn what they can do. Only a few basic pattern options are shown in this article, but I have included one photo where I cut a pattern on stained wood and you can see the colour contrast of the fresh-cut pattern against the colour. Of course, you can leave the main bulk of the wood natural and then just spot colour the textured sections. So by introducing spot, contrasting or blanket colouring techniques you can add even more visual impact. Also note that these can be used on wood, acrylics, soft metals and resins. The list is endless. I found these tools to perform superbly. They are well made and allow you to create an effect quickly, whilst allowing you to experiment to vary the patterns created. They represent excellent value for money and are a lot of fun to use. 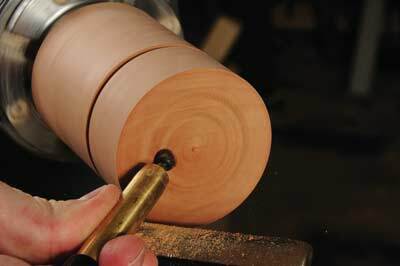 The standard ball-end cutter is easy to manipulate along the work. The cutter is best presented in a positive-cutting angle or horizontally to the work rather than in trailing mode. You can also work with the front or side of the ball to alter the pattern created. I found that all the cutters, should they become clogged, can be cleaned by holding a rubber block against them while they are revolving against the work. They are simple, quick, and you run no risk of blunting the cutting edges. rim of the piece you are working on. This cutter, with its flame-like section, allows you to present it in many more positions than with the ball-end cutter. 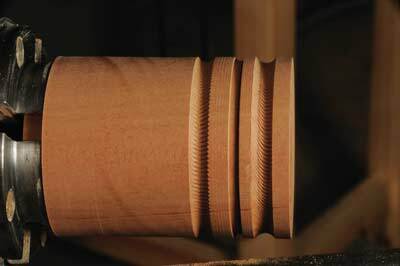 I found this and the cylinder cutters to give the most decorating options when working on side grain work. The shape allows you to create smaller and wider decorative bands than when using the ball-end cutter. of the tip is concaved. It is designed to create a fine incised line. It shears/peels off the wood beautifully and the cuts are crisp. 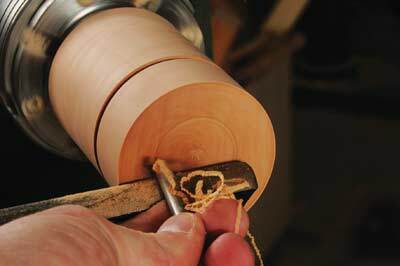 It is also capable of making shearing cuts across the wood rather than just be pushed into it. I used it to create boundaries at the outer limits of the decorated work. This effectively contains the decoration and creates a focal point. The tool was a dream to use. At Â£13.21 it also represents very good value for money. 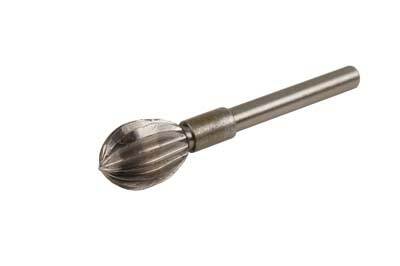 This is effectively a HSS negative-rake scraper with a fingernail-profile on the end. 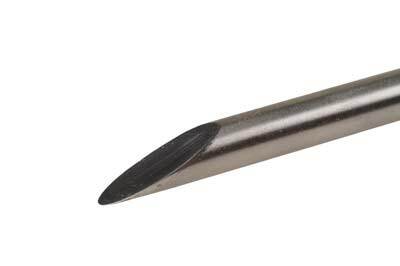 The top face is concave and it can cut be used as a push-in profiling tool, or for a more efficient cut. It can also be used to cut with the grain to cream hollows, coves, depressions and so on. Into these shapes one can feed the cutters to create the pattern required. For sharpening, with each of the tools I found it easiest to create a disc of MDF the same radius as the arc on the cutting edges and then I mounted this on a faceplate. Simply apply sharpening paste to the outer edge and hone the blades with the disc running away from the cutting edge. 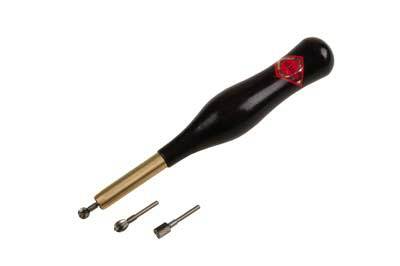 This tool is again priced at £13.21 and is also great value. What a lovely little set of tools. I had three texturing heads, a handle to hold them in, a point tool and a preparation tool. The point tool and preparation tools were razor sharp straight from the box. The preparation tool is the perfect size for creating coves prior to decorating, and the point tool is perfect for defining the pattern edges. I spent about four hours playing with the texturing cutters on end and side grain, hardwoods and softwoods. 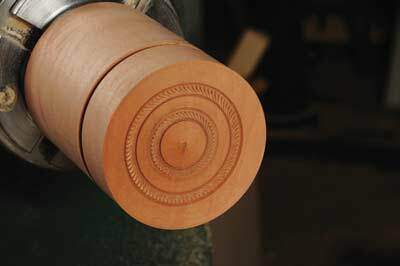 I created many different patterns by altering the angle at which I held the tool to the wood. I achieved some super results on the tops and edges of box lids and also created some nice patterns on bowl rims. The possibilities with this texturing set are endless and the more you play with them the more you find they are capable of. These tools represent exceptionally good value for money.